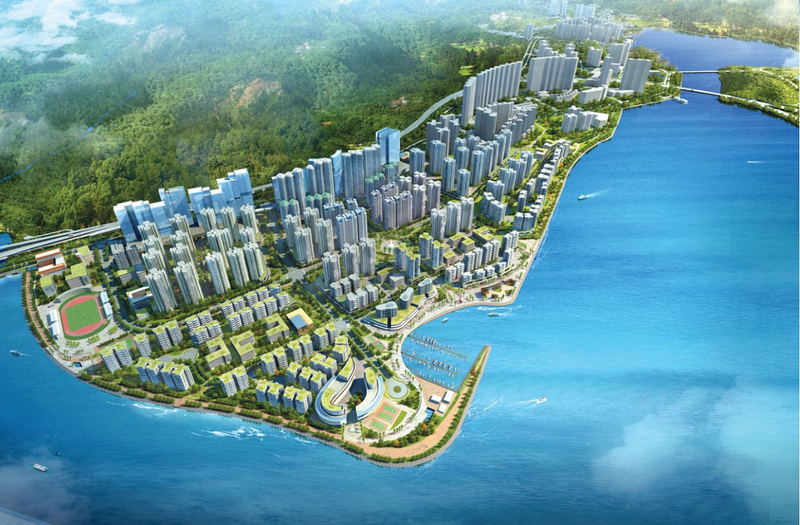 Currently, more than 3.5 million people, or almost half of Hong Kong’s population, are living in the new towns. Most of the land in these new towns is reclaimed land, and these land has played a pivotal role in addressing our housing needs. However, no new towns have been built since 2000, which is also one of the factors leading to the existing shortage in land supply. Moreover, for various reasons, the pace of reclamation has slowed down in the recent decade. Land created through reclamation has reduced nearly by 80 per cent from 3000 hectares during the period of 1985 to 2000 (i.e. an annual average of some 200 hectares of land) to only about 690 hectares within the period of 2000 to 2015 (i.e. an annual average of only some 40 hectares of land). With the advancement of technology, the modern-day reclamation projects can better preserve the ecological environment and neighbouring communities, and strike a balance between development and conservation. We are now taking forward several key reclamation proposals and new town projects, including the developments in Hung Shui Kiu, Kwu Tung North/ Fanling North, Yuen Long South and Kam Tin South. I believe as long as we have the determination to increase our land supply and are willing to consider these proposals in a pragmatic manner, we can continue to write the successful stories of reclamation and new town development in Hong Kong.